SF has a pedagogical value – it teaches, it shares experiences, and it opens the mind to new horizons. Outsiders and social outcasts are often drawn to SF as a means to explore a world that seems strange and alienating to them – reading the alien as a way of understanding themselves. 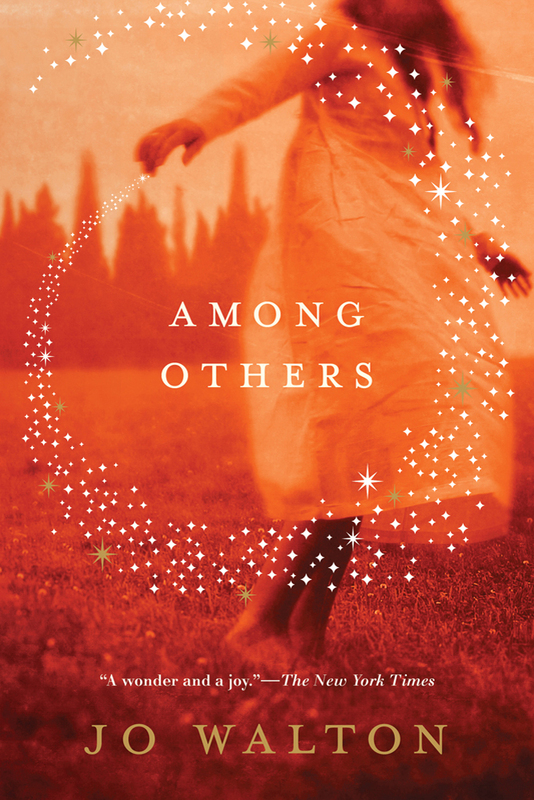 Jo Walton’s Among Others explores how young Morwenna, a girl with a disability, and far more clever than others girls in her year, explores the world through pages of SF books, living in a conversation between reality and the fantastic. SF becomes a tool for her to navigate her life – learning about diversity, philosophy, love, utopian ideas, politics, sexuality, and gaining deeper context for human existence. Yet, SF books also have a power about them beyond learning about magic – as a girl who can do magic and can see fairies, SF becomes a tool for magic, using the pages and phrases of her books as protection from spells around her. 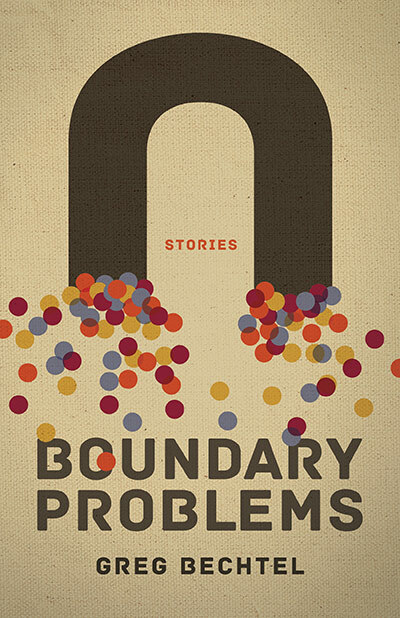 SF books are more than themselves, deeper, and beyond the ordinary. Morwenna has always been able to see fairies, and at a young age tried to shape them according to the precepts of Fantasy books, Tolkeinising them and limiting their reality to what she hoped would be the case. As she ages, she begins to learn about the nature of fairies for themselves, rather than trying to put her ideas upon them. They are extensions of the landscape, extensions of place and space for a girl who is having difficulty finding her place. Morwenna’s mother seeks to use magic to rule the world, changing it to suit her, but Morwenna debates the nature of magic, questioning its use and the morality of changing the world. Magic works in subtle ways, changing the world in ways that could be debated or disregarded. Spells change the conditions of things to cause the desired things to come about – a leaf dropped in a toxic puddle can transform a wasteland of industry into a garden, but not instantly as it occurs in many fantasy novels. Magic in Walton’s world just sets the conditions whereby things can be changed, causing the closing of a factory and the abandonment of an industrial area so that nature can reclaim it. Magic suffuses Morwenna’s life, but it is subtle, changeable, and debatable. Pain and loss have shaped Morewenna’s life – the pain of her damaged leg, the loss of her twin, and the continued ostracism of her peers. The temptation to use magic to better her life is all around her, yet her moral structure prevents her from using it. When she does a spell to find a community and is suddenly asked to join a Science Fiction book club, she worries that she has taken the will from her compatriots and made them like her. She fears taking agency away from others and becoming like her mother. Morwenna sees more than others do, aware of the depth and context of the world. She not only sees the magical world, but notices things in her world that others ignore and disregard. She sees differently than those around her, fascinated and interested in things that others wouldn’t give attention to, and finds the topics of other people her age uninteresting and pedantic. With so many fascinating things in the world, she wonders why they would focus so much on petty gossip. Told through a series of journal entries, Among Others is a tale of self discovery and loneliness in which SF provides not only tales to entertain, but lessons to live by and fuel for the magical world surrounding Morwenna. To read more about Among Others, you can explore Tor’s website at http://us.macmillan.com/amongothers/JoWalton . 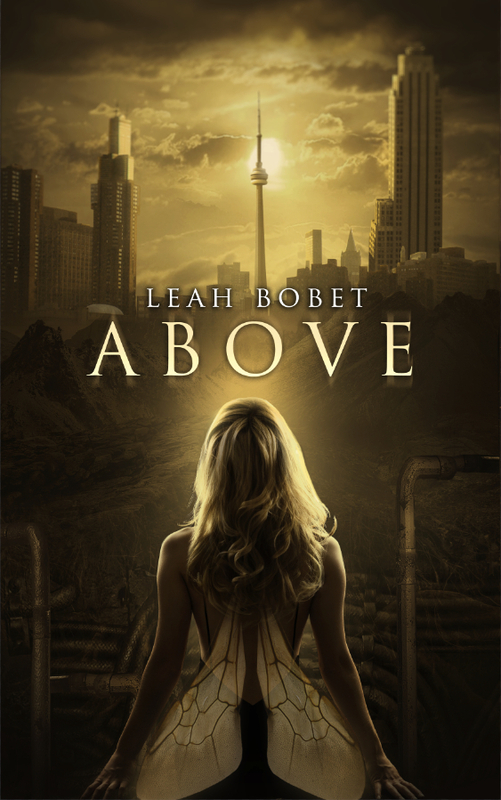 I met Leah Bobet at CAN CON: The Conference on Canadian Content in Speculative Arts and Literature in Ottawa this past year. After chatting with her about her work, I wanted to share some of her insights with readers. You will have a chance to hear from her about her involvement in politics, studies of intersectionality, advocacy, supporting local food initiatives, disability, and the need for self-narrativisation on Wednesday, March 20 . 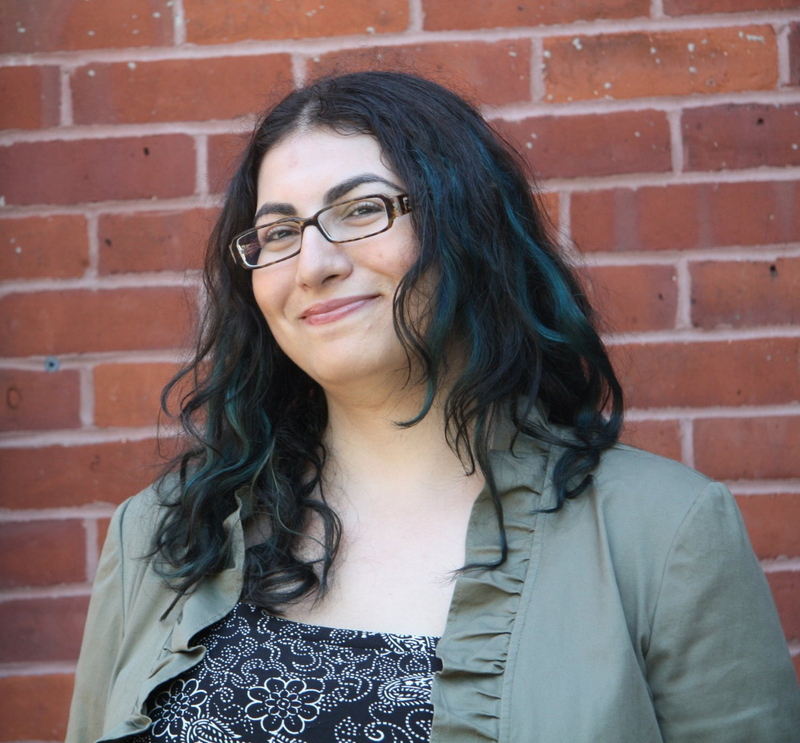 It is great to see an author who is also involved in advocacy work, and her SF writing has a role in advocating for further diversity. As you have probably noticed from a lot of the reviews that I have conducted as well as the questions that I ask authors, I have a strong interest in the power of SF to ask powerful social questions and challenge prejudices. I was incredibly happy that Timothy Carter agreed to do an interview here and talk about the power of YA fiction to challenge preconceptions and present new ways of thinking about the world. Spec Can: Could you tell readers a little bit about yourself to start this interview? Timothy Carter: I am Timothy Carter – author, cat servant, and lover of a good cup of tea. And Transformers. I’m such a fanatic for those guys. And Doctor Who. Big genre fanboy, that’s me. I love it, and I create it. My main output could be called humorous young adult fantasy. I call it far-fetched fiction. I hope and plan to entertain young minds with my stories for as long as I live, and hopefully well beyond that. Spec Can: A lot of your work features the image of the bully. What is the importance of the bully to current Canadian society and how can authors like yourself help people to think about the bullying phenomenon? Timothy Carter: A lot of my protagonists/heroes are kids who are the victims of bullying, yes. One of the oldest bits of writing advice is to write what you know, and I know a lot about bullies. My characters overcome their tormentors the way I never could. I don’t write about bullies or bullying, however. There isn’t a story I’ve written that I could point to and say, “That one’s about bullying.” I may do, one day, but for now I’ve simply presented bullying as something my characters put up with. As an unfortunate aspect of life. Something wrong, but normal. And I rarely present resolution to those situations. My bully characters do not often face the consequences for their actions (the obvious exception being Barnaby from Epoch, who well and truly got what was coming to him), which for me is a truthful way of depicting bullying in general. School officials can brag about their zero-tolerance policies all they want, but that won’t change very much. You can’t just wipe something like bullying out with a hastily-concocted policy; you need to understand why it happens. Why is it so much fun to cause another person pain? And why do we secretly despise the victim? We reward strength and look down on those who are weak, an attitude that encourages (and rewards) bullying. Changing an attitude that’s been with humankind long before we called ourselves civilized… well, I can plant the idea in readers’ heads, but it will take a lot more to get society to act on it. Spec Can: A lot of your work features images of magic and people who use magic. Why is magic of so much interest to readers? Timothy Carter: Why is magic of such interest? Because we don’t have any. Did you notice how that last sentence began with ‘because?’ I did that just to annoy my English teachers. Getting back to the topic at hand, people love to read about stuff they don’t have. We love spy novels because secret agents have cool skills, nifty gadgets, and interesting lives. We read about knights because they’re all noble and heroic and they hack people up with swords. Science fiction stories have space ships and ray guns (unless they are written by Real, Serious Hard SF authors, who will insist on calling such things Starships and Level Seventeen Phase Disruptors). And fantasy stories often have magic. And we don’t. But wouldn’t it be cool if we did? Spec Can: Your novel Evil? features a boy who has recently come out of the closet as gay. What is the importance of teen readers reading about a gay-oriented character? Timothy Carter: When I was in my early teens, I thought the idea of someone being gay was funny and wrong: funny, because everyone would tell jokes about them; and wrong, because that’s what my church youth group leaders told me I was supposed to believe. I started to question these notions in my late teens, and concluded there was nothing strange or wrong with gay people by the time I reached adulthood. I really regret that it took me so long. It really should not have done. If I’d had a book like Evil to read back in my teen years, it might have helped me see beyond the stupidity and hate a lot sooner. When I wrote Evil, I needed a gay character for the sake of the plot. I did not, however, consider Evil to be a ‘gay’ novel. It was important to me that Evil be a YA fantasy that happened to feature a gay character, so I could show readers that being gay was no big deal. Stuart’s sexual orientation was an aspect of his character, but it wasn’t his defining characteristic. The more YA books there are with gay characters, the more young readers will see that being gay is just as acceptable as being straight. Spec Can: A lot of your work features the figure of the monster, and often challenges the people good / monsters bad dichotomy. What is the importance of monsters in teen fiction and why are morally ambiguous monsters so significant? Timothy Carter: Monsters aren’t normal, and neither am I! And by normal I mean average and everyday. I like to play around with people’s expectations, suggest one thing and present the exact opposite. People expect monsters to be evil, pure and simple. Especially demons. People also assume that angels are always good. I love writing villainous angels! And I enjoy playing with the notion of what a demon is. Fon Pyre from Evil was a fun character to write. In teen fiction, monsters are useful as metaphors. Anyone who has seen an episode of Buffy the Vampire Slayer has seen this done extremely well. It’s fairly simple to replace a brooding loner with a vampire, the football team with a pack of trolls, the cheerleaders with elves or fairies, or puberty with lycanthropy. A monster gives you the opportunity to write about Issues without being so obvious about it. Spec Can: What are some of the most important questions that you hope your work will open up in readers’ minds? I hope to get readers to look at the world differently. Things aren’t always what they seem, or mean what we think they mean. An angel could be your greatest enemy, the loser you pick on your bravest hero. Popular opinion doesn’t have to be your opinion, and your point of view matters just as much as anyone else’s. I also try and point out that the world should not be taken very seriously. Have a laugh, have some fun, and try not to get all worked up about things because most of it won’t matter in a year or so. Spec Can: How much do your own spiritual or religious beliefs influence your writing? Timothy Carter: Completely. I don’t think there is a story I’ve written that wasn’t influenced by my spiritual side. I have a lot of strong feelings about religion, and a great interest in metaphysics. I love to use religious and spiritual concepts (like Heaven and Hell, angels and demons, the soul and karma) in my fiction. The subject matter is inspirational, and I still have a lot to say about it. 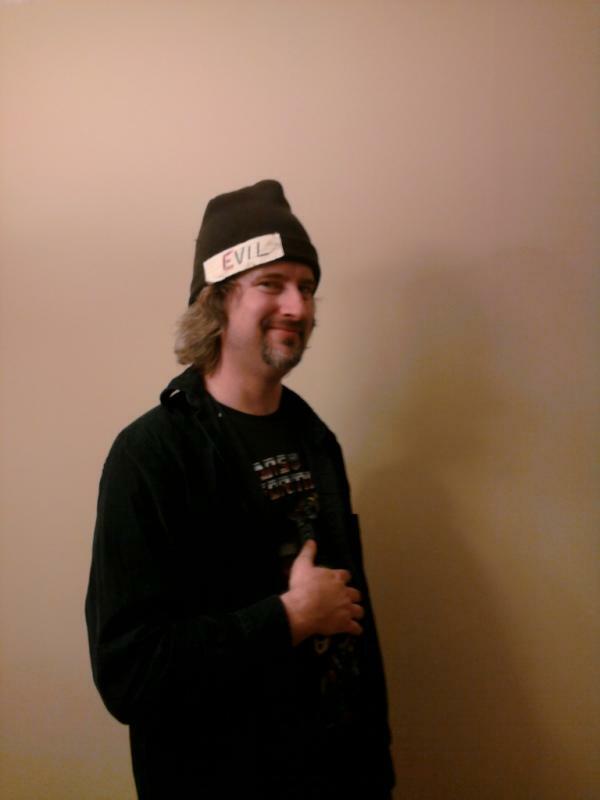 Spec Can: Your novel Evil? deals with issues of prejudice and the spread of hatred. How can writing about hate crimes help society to prevent hate crimes and become more accepting of diversity? Of course, if you want certain subjects to come up in your story, you can increase the chances of that happening naturally by putting the right characters in there. I wanted to have a go at homophobia when I was writing Evil, so I introduced Reverend Feltless into the mix. He did exactly what it was in his nature to do, and the story dealt with homophobia without that issue interfering in a ‘lesson’ sort of way. I guess what I’m saying is, if you plan your book to be a “Johnny Learns About Hate Crimes” story, the message will likely feel forced. If one of your characters has a penchant for prejudice, their interaction with the others should bring it out of them in a more subtle, organic way. Spec Can: Is there anything else you would like to add to this interview? Timothy Carter: After all that, you want more? Gee wizz, man. I got a home to go to! 😉 There is one thing I’d like to ask of your readers – if you like an author’s work, don’t keep it to yourself. A lot of writers are struggling, and desperate for some attention. Give it to them! Like their Facebook pages. Follow their Twitter feeds. Leave comments on their blog posts. I say this not just for my own benefit (but BTW, my website is www.timothycarterworld.com ), but for a lot of author friends I have who work so very hard to get their words out. No writer wants to get that letter that tells them their book is going out of print due to lack of sales (I have. Evil & Epoch are toast, and The Cupid War is limping). Tell your friends and family about your favourite authors. Write reviews of their work on Goodreads. And please keep asking them to do interviews! Which reminds me, thanks for this one. I want to thank Timothy Carter for this fantastic interview and his many insights on the ability of SF to challenge taken-for-granted notions of the way the world “has to be”. If you haven’t had a chance to check out Timothy Carter’s website yet, you can explore it at http://timothycarterworld.com/ . And I second Mr. Carter’s sentiment at the end of this interview. You can do a great service to authors by reviewing their books, checking out their websites, blogs, Facebook pages, and Twitter feeds. Authors are an incredible resource, and it is great to show them our support.